May 18. Frost Advisory. Unhappy Gardener. 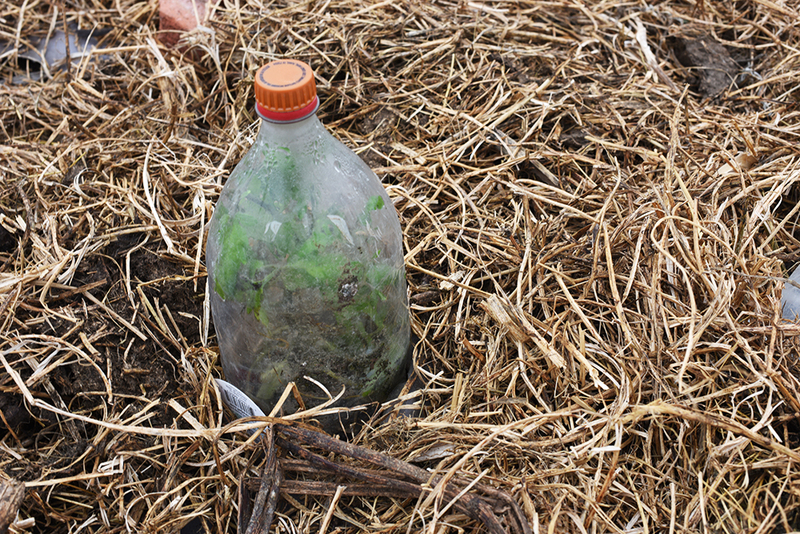 A tomato plant covered with a pop bottle. We take the lid off for daytime and remove the cover entirely when the weather gets hot. I have written in the past about extreme gardening in the Great Plains. Between wind, drought, and more wind, I have often wondered if I should seek some type of therapy. I have gotten used to a gradually-warming climate (welcomed it even). One side effect of climate change is the uptick in extreme events. We have been increasingly experiencing early warming in the spring followed by a late frost/freeze that throws all of my plans aside. Today is the latest date we have been under a frost advisory since, well, anytime I can remember. In response, we found tarps, emptied the linen closet, broke out the collection of discarded curtains retained just for covering garden plants, and even stole the dog’s fuzzy blanket to cover the tender plants in the garden tonight. My thoughts on this uncharacteristically late freeze? Imagine the following to the tune of the Snow White and the Seven Dwarves song, “Hi Ho, Hi Ho, It’s Off to Work I Go”). The potato patch covered with a tarp. 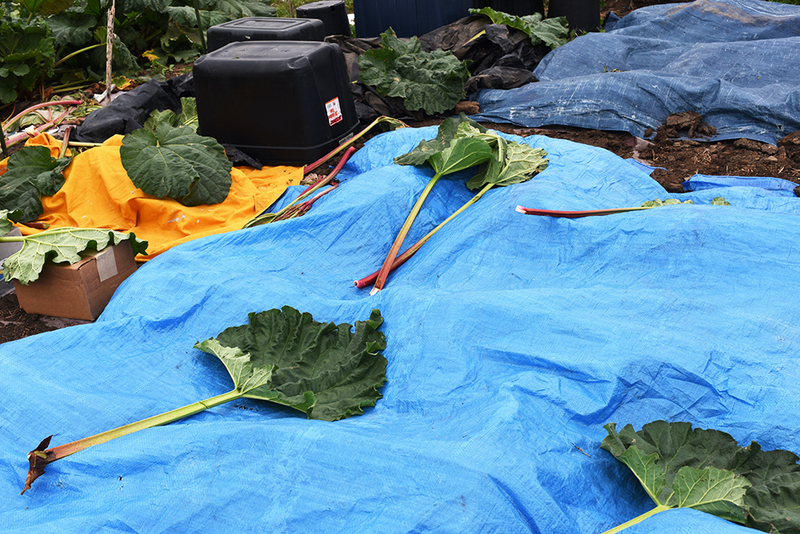 There was just a little bit of wind, so the rhubarb leaves add some weight to keep it from blowing. Hi ho, Hi ho, Hi ho, Hi ho, Hi ho….